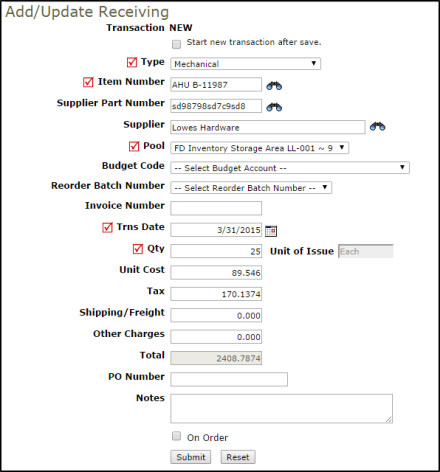 Receiving Transactions are entered when you need to add shipments of items from your suppliers into your inventory stock. These items are added to your on-hand quantity and are immediately available to be issued out. Required fields are indicated by a red check box .